Home/Tips & Tricks/Is Road Rage A Crime? Sadly, road rage has become a part of our driving lives on the road. No matter how careful you are, there are other drivers who are distracted or just having a bad day and may not be focused on the road and their driving. Until the early 1990s, the word ‘road rage’ wasn’t as well known as it is today. Road rage was coined by the media in early 1990s to describe shootings in the freeways that seemed to be increasing. In many cases road rage refers to actions of violence that result from aggressive driving and the parties involved get physical. 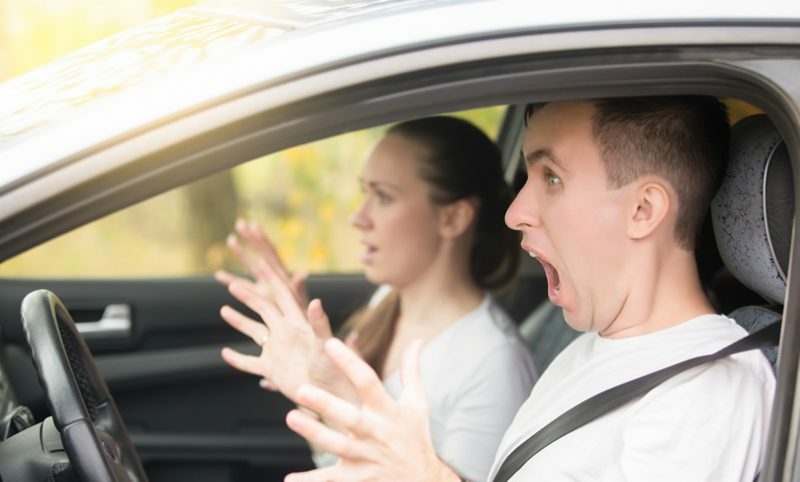 Although we use the term ‘road rage’ to describe all kinds of bad driving out there, you should note the difference between aggressive driving and road rage. While aggressive driving refers to the style of driving or actions a driver takes when on the road for one reason or another, road rage refers to actions intended to damage another vehicle or hurt others on the road. More specifically, road rage is usually the result of aggressive driving where one driver responds to another driver with gestures, words or harmful action. When you get to this point on the road, the best option is to call 911 and get help because these situations can turn dangerous in a matter of seconds. You should always remember that road rage can land you behind bars if you participate in causing harm to another car or person because you’re mad at them for cutting you off or tailgating you. Remember, when you take matters into your own hands you’re likely to commit a crime and worse get hurt in the process. Many of us travel with kids in our cars and any form of aggressive driving puts them in a very dangerous position of getting hurt. Cases involving child endangerment when it comes to road rage are one key reason to think twice before responding to an aggressive driver. Not only are you putting your kids in the path of danger, but you could be doing the same to other minors on the road. Use your car horn sparingly. You don’t have to honk every time another driver makes a mistake. Give other drivers the benefit of doubt and keep a safe distance. You don’t like to be honked at, so spare others the alarm.